The stallion career of young Waikato Stud stallion Sacred Falls gained serious momentum at yesterday’s Matamata trials. His first crop two-year-olds provided a trifecta in one 800 metre heat while a son impressively claimed another. First-up, the Matamata farm-bred and sold Shoshone led home a first three for Sacred Falls. Trained by Ken and Bev Kelso and Mark Donoghue, the filly was a comfortable winner in Cameron Lammas’ hands. A $150,000 Karaka purchase, she is out of the Zabeel mare Dee I Why who is a three-quarter sister to the stakes winner Ritzy Lady. Shoshone’s sister, Lot 671, will be offered during the Book 1 Sale next January. Runner-up in the trial was Team Rogerson’s Amazing Team with a colt out of Lowland finishing third. The latter is trained by Tony Pike and was bred by Waikato Stud. 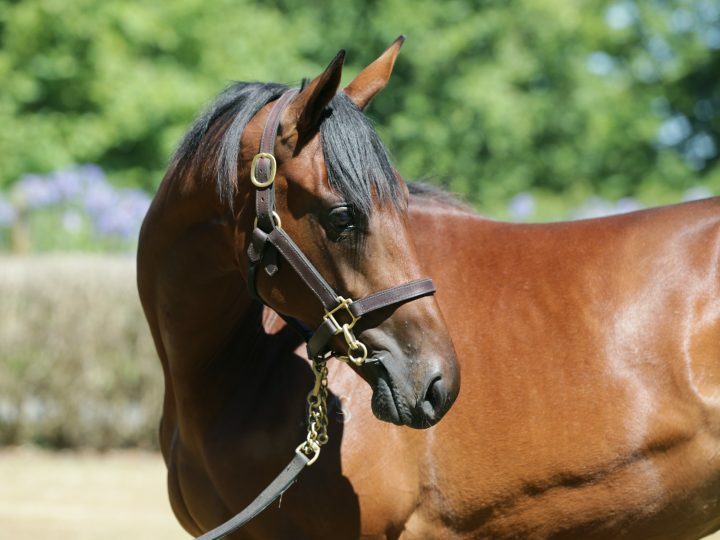 They will sell his half-sister by Pins as Lot 183 during Book 1 at Karaka in 2019. The well-related Sacred Falls colt Laurentium also won his heat in fine style for trainer Jamie Richards. A $170,000 Karaka buy, he is a half-brother to O’Reilly’s unbeaten son Brutal. He has won all three starts for Team Hawkes, including a pair of Listed races in Melbourne.